OMG! Breaking news! the kind of fashion Karl Lagerfeld at age 77 years old is set to marry his long time boyfriend 20 years old Baptiste Giabiconi in summer 2011 at Karl's 10 acre estate he purchased in 2008 on Grand Isle, Vermont in United States. A close friend of the couple tells, "It’s really all the two have ever wanted. Karl chose the location because it's so peaceful and serene, and because Vermont was one of the first states to legalize gay marriage. It couldn’t be any more perfect." Giabiconi tells this touching story one time: "One day I went up to Karl and said: "Why me? What is it you see in me? Why do you only work with me?" And he told me it's because he sees something in me that he doesn't see in other people, something in the way I carry myself. Karl said: "I see both a man and a woman in you at the same time." Also there is a rumor, after the wedding, Lagerfeld will leave his design position at Chanel and move to the U.S.A. so he can settle down in Vermont with long time boyfriend Baptiste Giabiconi. Baptiste will wear a floor-length, one shoulder wedding gown from the Chanel Haute Couture archives and a custom-made, hair gel-resistant veil. Could it be this CHANEL couture wedding gown? Only 100 of the couple’s closest family and friends will be invited to the ceremony in Vermont, but the event will be live-streamed on SHOWstudio. Please Stay tuned as more information becomes available. Will this wedding overshadow Prince William & Kate Middleton's wedding? 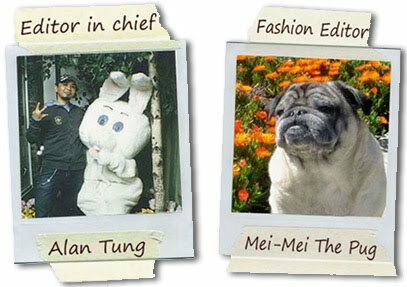 We here at FashionistasDaily.com want to send our most sincere congratulations to Karl & Babtiste, wishing them happily ever after!